Family traditions are a memorable part of Christmas. For many, the Christmas season is not complete without trimming the tree, baking cookies, and searching for that special gift. Christmas PJ’s, reading the Christmas story, helping someone in need, and attending Christmas Eve service add to the variety of Christmas traditions. I love Christmas traditions, both playful and sacred. Wonderful memories are neatly wrapped around the ways that my family celebrates the birth of Christ. The Grab Bag is a fun time of drawing small gifts out of a mystery bag. My husband loved this family tradition he grew up with. Now it is a favorite with our kids. Place an odd assortment of practical and silly gifts in a large bag. Once the gifts are collected, tie yarn or string around them, place them in the bag, and wa-lah…the Grab Bag is ready! The Grab Bag is passed around until the bag is empty ( I usually plan for 2-3 times around). If it is a wearable item, you must model your prize. Take your time and enjoy the frivolity that comes with each person’s reaction to their prize. 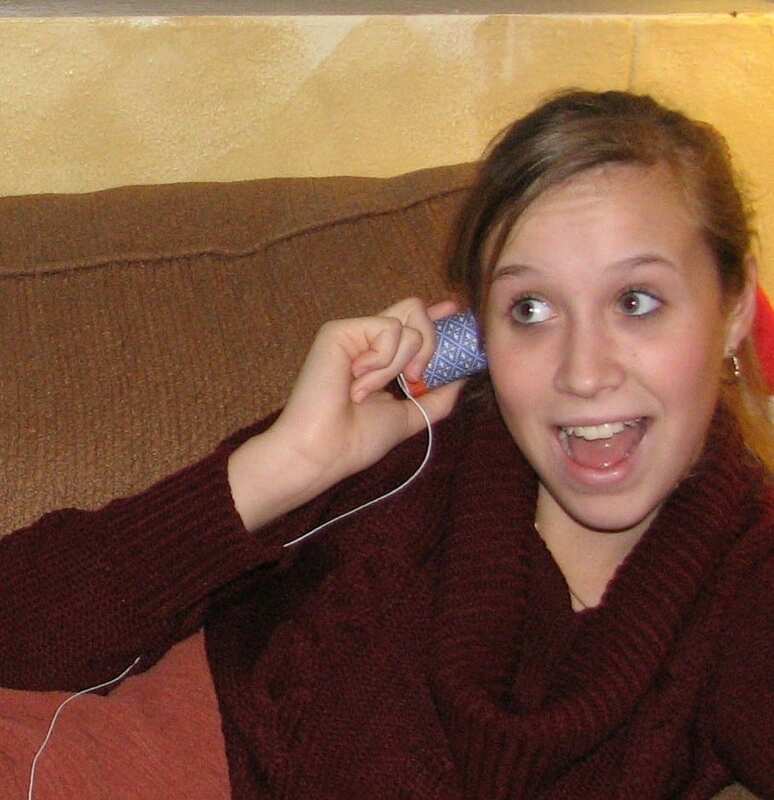 Some treasures I gather from around the house…like a roll of toilet paper or fun photo from the year. Others may be practical items such as toothpaste, a spatula, or a bungee cord. Then there are the dollar store items…things like a tacky figurine, a birthday party favor, a kid’s toy, a pack of post-it-notes, a candy bar…you get the idea. The best part of The Grab Bag includes the gag gifts that are mixed in. Here again, the dollar store is your friend. Fake tattoos, grungy Halloween teeth, colorful wigs, elf ears, and a bag of coal are a few of the funnies that have shown up in our grab bag over the years. Need a nose ball roller? 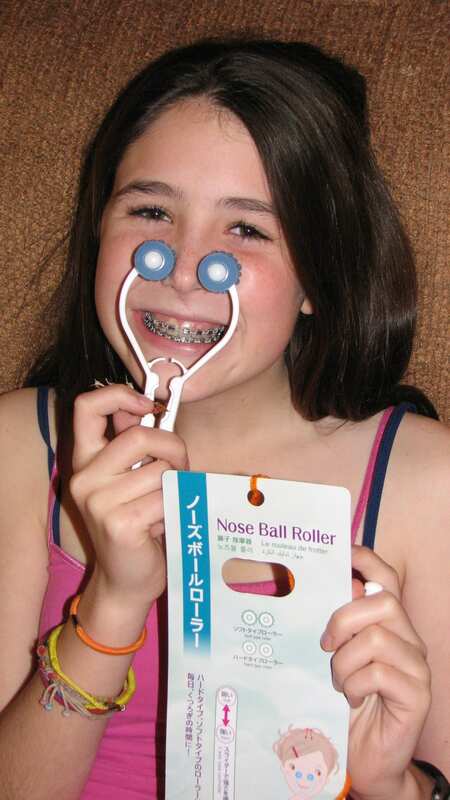 When we lived in Japan, the most unique grab bag gift was a Nose Ball Roller from the 100 yen store. Why do we want to roll our noses? One year our ten-year-old son pulled out one pink fuzzy child’s slipper. He loved that one. Everyone gets a chuckle when an adult pulls out a kid toy or a guy finds a girlie gift. When my daughter was six, she pulled out a queen-sized pair of nylons in a Leggs egg (remember those?). 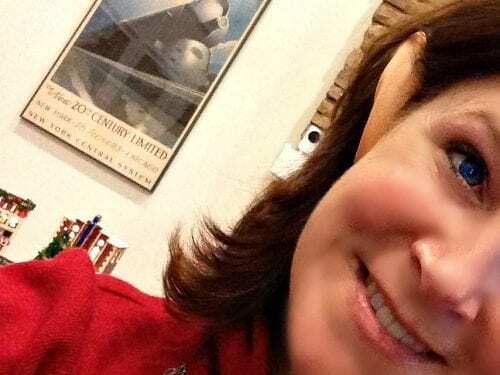 She laughed so hard when she saw those and proceeded to unwrap them and try to put them on over her cute little Christmas PJs—they stretched up over her head. It’s fun to be silly. 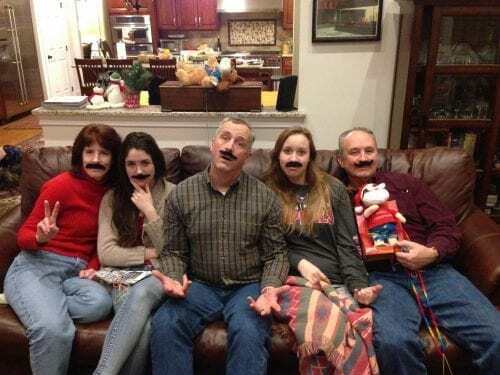 This is the year my son grew a mustache… Someone grabbed a family pack of stick on mustaches–one for everyone. Add a few inside jokes. 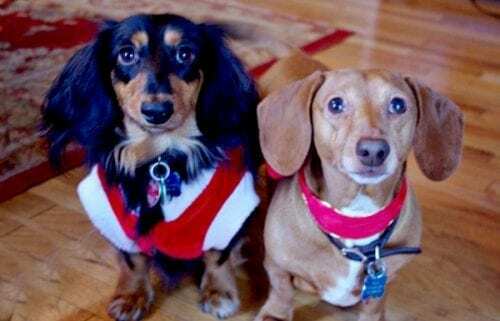 One year we spent Christmas at my mom’s. Because my brother joined us, I added in a joke just for him. As teenagers, we had a running game that involved finding the oldest item in my mother’s freezer. Mom was very organized, labeling everything…such as the cupcakes from Jenny Jones birthday in June 1982. We never knew what kind of pre-historic treasure we might find lurking in the back corner of the bottom shelf. I pulled pork chops from Mom’s freezer, wrapped them in foil and wrote, “pork chops, 1975” on the foil. Luck of the draw was with me when my brother just happened to be the one to pull out those chops! At first, he had no idea what incredible treasure he had received. As soon as he figured out the joke, he laughed harder than I have ever seen him laugh. It is probably one of the few times in my life I have ever pulled one over on him. Let me tell you, it felt good! As you can see, there’s lots of room for fun and creativity with The Grab Bag. 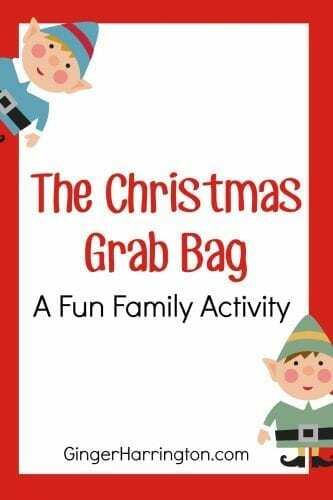 Enjoy the Grab Bag as a new tradition with your family this year! 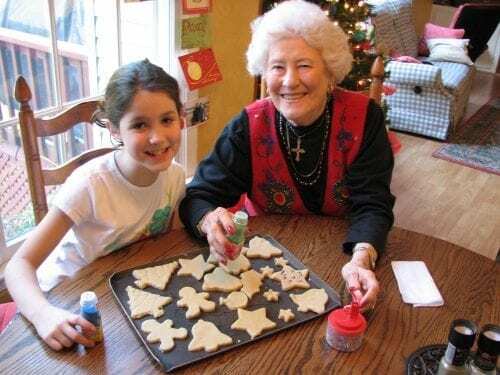 Christmas activites, Family Life, Family Traditions. Bookmark. This is a fun activity for our family. I look forward to it every year! You’re family will have fun with this! This year, everyone is contributing 2 items. I can’t wait to see what my kids come up with. So glad you could join me today. My son and I so enjoyed reading your blog post together. I think he would come up with some awesome Grab Bag items, like Lego people, the cat’s unused toys, and coins! Lord only knows what that child will put in the bag. Yes, I bet he will! That will add a fun twist. Yes, as military families, we do need traditions that are portable and easy. Thanks so much for joining us and I look forward to hearing more from you!